A high wall surrounds the entirety of a whole block on the Hove seafront, behind which is a most curious 1930s Hollywood-style home. The high wall, and the entirety of the house in fact, have been constructed with long grey/purple bricks that came individually-wrapped from Italy. It was built for the film director Stuart Millar by the prolific cinema architect Robert F. Crombie (whose work included the Lido Cinema at the top of Denmark Villas beside which the spare bricks from the house were said to be buried). The house, now called Barford Court, is located on a large plot that was once used to graze sheep in the middle of Prince’s Crescent. Its address is 157 Kingsway but it was originally 1 Prince’s Crescent (a far more preferable address in my mind). 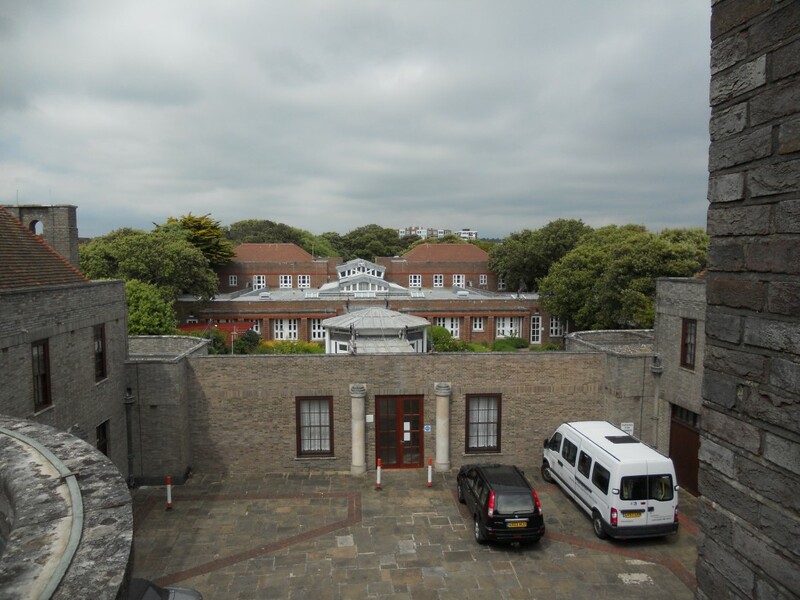 The building became a nurses’ home after Millar sold it to Hove Hospital in 1946, and subsequently opened as a nursing home in 1996 after it was purchased by the Royal Masonic Benevolent Institution. Finding the entrance to Barford Court is actually a little tricky. A locked gate on Kingsway simply leads into an enormous front garden. It is actually entered, by both foot and car, from the east side, beneath the east wing – the original garage block which housed four cars. The south wing contains the principal rooms. The inner courtyard would once have looked across what would once have no doubt been the largest garden in Hove. But it has been enclosed though, and now serves as a link into a large new block that was built over the garden. I could say much about the gorgeous Modernist interior, including the fabulous bronze-railed staircase but my latest visit was about new, hidden, areas. The roof spaces were fairly interesting in terms of just analysing construction methods but best of all was the rockery that occupies a generous portion of the tip of the site. I was shown around by several members of the lovely staff at Barford Court and was particularly lucky to see the landscaped rockery area that is usually off limits. 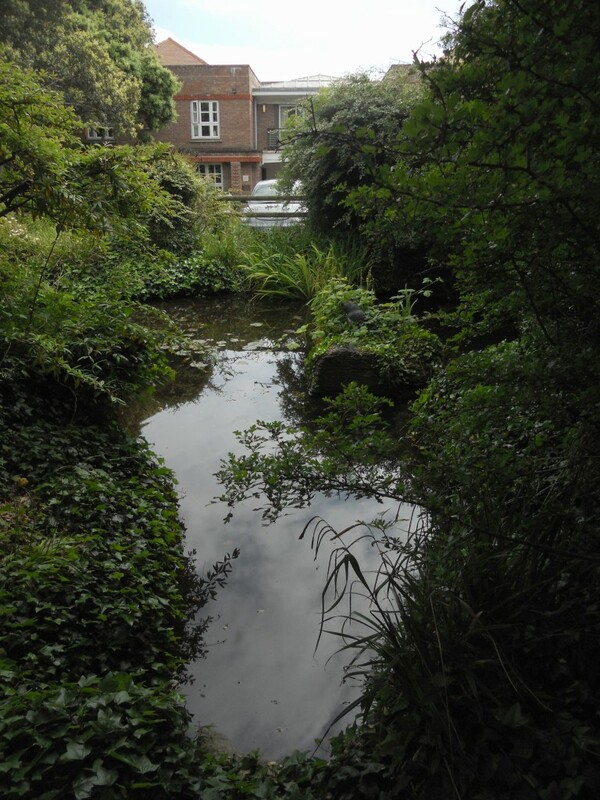 The shaded oasis includes concealed benches, a large pond and forgotten paths which are longing to be explored. I doubt that many could identify photographs as Hove. The rockery is just one of many details that hint at the forgotten glamour of what was undoubtedly the most stylish home ever built in Hove.